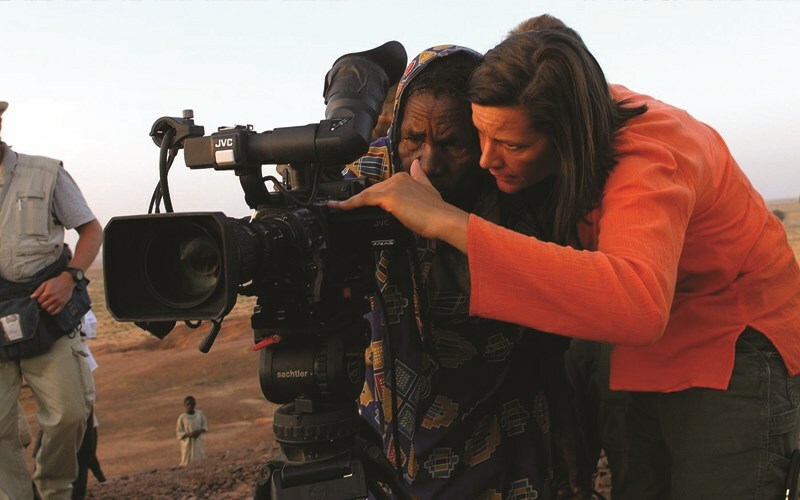 Exposing her role behind the camera, Kirsten Johnson reaches into the vast trove of footage she has shot over decades around the world. Presented as part of the Bijou Film Forum series. FREE for UI students (present student ID at the box office) and $6.50 for the general public. Part of Bijou Film Board's Film Forum series. Film followed by post screening discussion. A boxing match in Brooklyn; life in postwar Bosnia and Herzegovina; the daily routine of a Nigerian midwife; an intimate family moment at home: these scenes and others are woven into Cameraperson, a tapestry of footage collected over the twenty-five year career of documentary cinematographer Kirsten Johnson. Through a series of episodic juxtapositions, Johnson explores the relationships between image makers and their subjects, the tension between objectivity and intervention of the camera, and the complex interaction of unfiltered reality and crafted narrative. A hybrid work that combines documentary, autobiography, and ethical inquiry, Cameraperson is both a moving glimpse into one filmmaker’s personal journey and a thoughtful examination of what it means to train a camera on the world.